A hat-tip to The New Republic for this piece about how to visualize our current political alignments. (And a double hat-tip to UMichigan researcher Mark Newman who thought this up.) The key to understanding this view of politics is a device known as a “cartogram” — which is a map that depicts geography according to some criterion other than space. 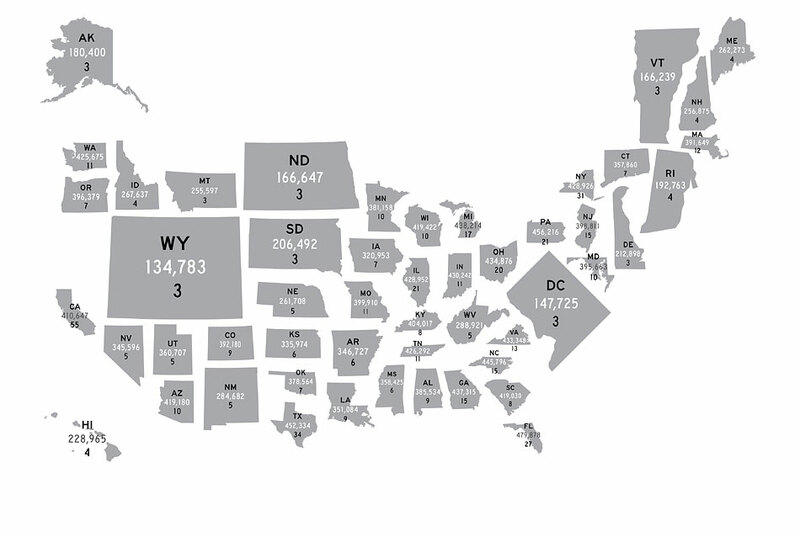 So, if you map the United States based on the density of population, then the big empty spaces don’t register very much. But, of course, that’s not the whole story. 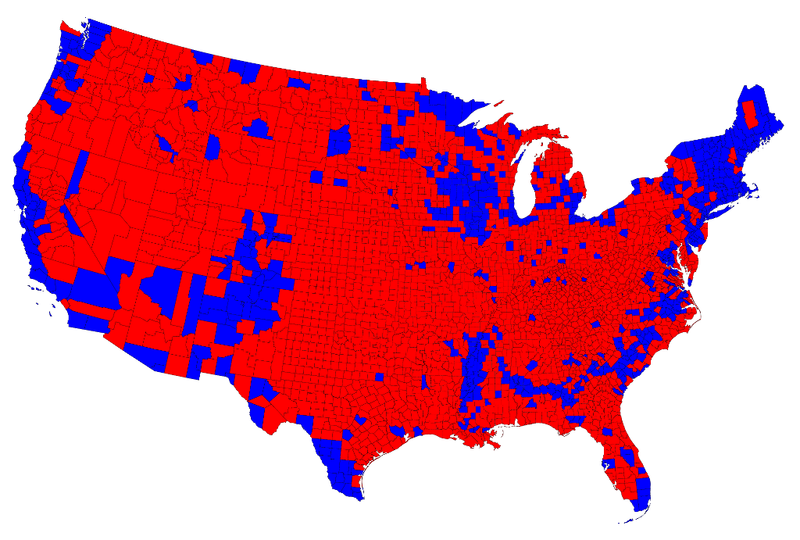 In fact, the country has a narrow Democratic majority. But how to depict that? 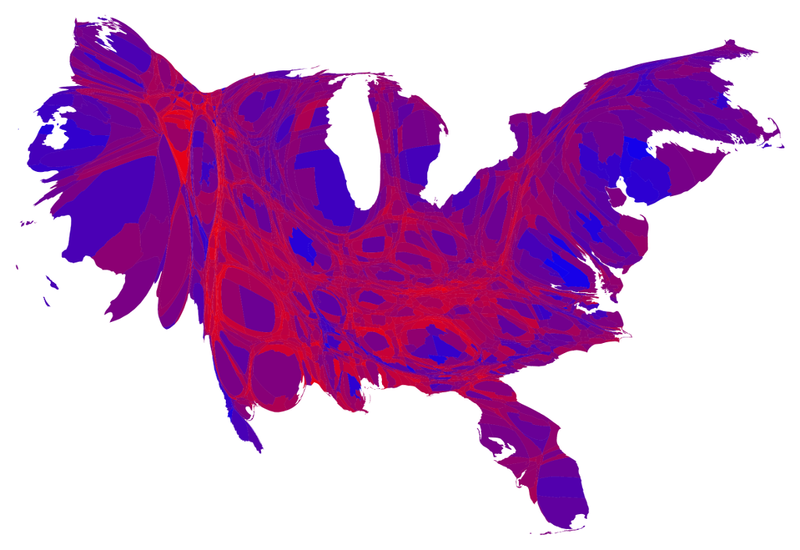 In the cartogram, units of space are resized to reflect the population of each county and the margin of victory in the last presidential election. This view makes the U.S. look like a bluish/purplish country with some red swirls mixed in. Very different visual impact. Here is a link to Newman’s software, so you can make your own cartograms! For a different view of U.S. politics, consider this cartogram by the NYTimes. It makes me want to move to North Dakota or Wyoming — almost. Outstanding display, , it pays to be re-calibrated in the “real” world, , , God forbid, that we should live our lives by the information in the 30 second sound bites, that suffice for real news in todays 24 hour news cycle!